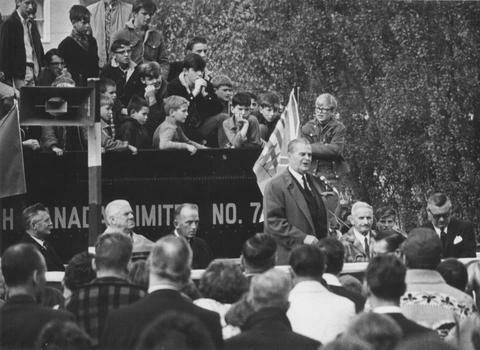 November 2, 1967, Premier Bennett (W.A.C.) presents the No. 2 locomotive to the people of Squamish. Mayor Brennan to the left, Fred Downer to the right.